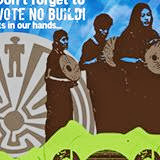 The American Friends Service Committee (AFSC) will send delegations of volunteers to meet with key legislators and deliver the testimonies and other materials gathered through our Public Hearing on Prison Privatization (Tucson, October 27, 2010) and other activities. We will then gather on the House lawn for a brief press conference to report on our meetings with the offices of the Arizona Secretary of State and Attorney General, discuss our opposition to prison privatization, and renew our call for an immediate cancellation of the recently re-released RFP for 5,000 new private prison beds in Arizona. 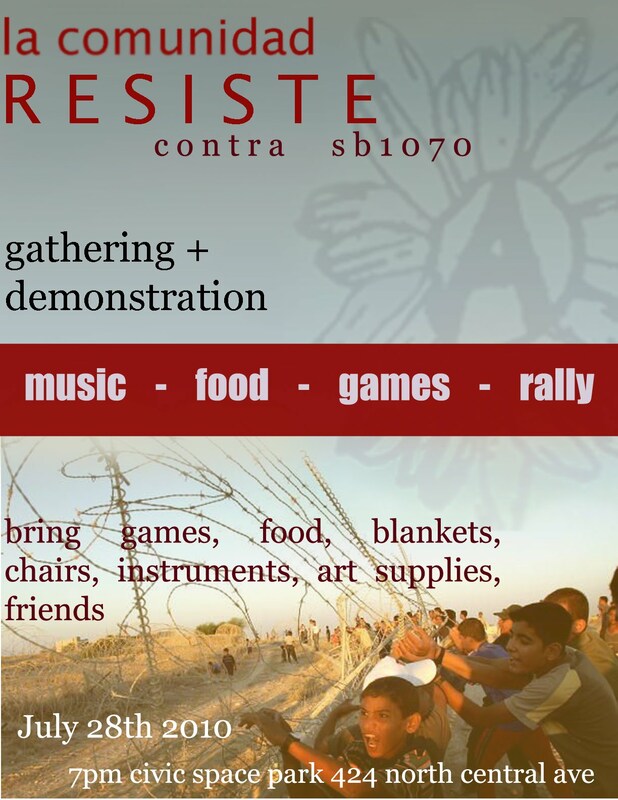 Carpools from Tucson will be organized—please contact us at 520.623.9141 or email cisaacs@afsc.org to participate! 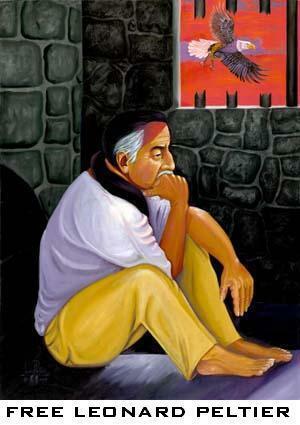 Free Leonard Peltier: Black Hills Sioux Nation Treaty Council. BE IT FURTHER RESOLVED, that the Black Hills Sioux Nation Treaty Council demands the immediate release of Leonard Peltier. I, the undersigned Secretary of the Black Hills Sioux Nation Treaty Council, do hereby certify that the above resolution has been approved by consensus of all delegations of the Black Hills Sioux Nation Treaty Council, effective January 29, 2011. As far as I know, we are still within the law to record public officials in the course of their public duties in Arizona - which covers cop-watching. That doesn't mean you won't get arrested, though - just look at the Fonz. Also don't expect to keep that Liberty much longer now that they know we can use it against them all..
Last January, Michael Allison, a 41-year-old mechanic from Bridgeport, Illinois, went to court to protest what he saw as unfair treatment from local police officers. Allison is an auto enthusiast who likes to tinker with cars, several of which he keeps on his mother's property in the neighboring town of Robinson. Because both towns have "eyesore," or abandoned property, rules that require inoperable cars to be either registered or kept in a garage (which neither house had, and which Allison could not afford to build), Allison's cars were repeatedly impounded by local officials. Allison sued the city of Bridgeport in 2007, arguing that the eyesore law violated his civil rights and that the city was merely trying to bilk revenues from impound fees. This apparently enraged the local police, who, Allison alleges, began harassing him at home and threatening arrest when Allison refused to get rid of his cars. Shortly before his January 2010 court date, Allison requested a court reporter for the hearing, making it clear to the county clerk that if one was not present he would record the proceedings himself. Just after he walked through the courthouse door the next day, Allison says Crawford County Circuit Court Judge Kimbara Harrell asked him whether he had a tape recorder in his pocket. He said yes. Harrell then asked him if it was turned on. Allison said it was. Harrell then informed the defendant that he was in violation of the Illinois wiretapping law, which makes it a Class 1 felony to record someone without his consent. “You violated my right to privacy,” the judge said. Allison responded that he had no idea it was illegal to record public officials during the course of their work, that there was no sign or notice barring tape recorders in the courtroom, and that he brought one only because his request for a court reporter had been denied. No matter: After Harrell found him guilty of violating the car ordinance, Allison, who had no prior criminal record, was hit with five counts of wiretapping, each punishable by four to 15 years in prison. Harrell threw him in jail, setting bail at $35,000. That's up to 75 years in prison for breaking a law Allison did not know existed, and which he violated in the name of protecting himself from what he saw as an injustice. As Bilko points out, Allison's case may be extreme, but he is hardly alone in facing outsized punishment for efforts to combat police wrongdoing. Take Christopher Drew and Tiawanda Moore, two Chicagoans highlighted in the New York Times last week. Drew, a 60-year-old artist, faces up to 15 years in prison for using a digital video recorder during his December 2009 arrest for selling art without a permit. 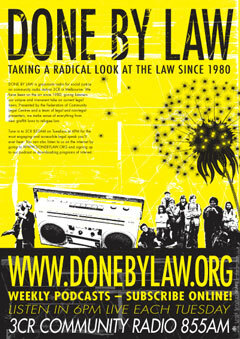 Drew had planned on getting arrested in protest of the permit law, which he saw as a violation of artists' rights. He was unaware that filming the ordeal was illegal. Likewise, Moore, a 20-year-old Southside resident, did not know it was illegal to record a conversation she had with two police officers last August, and she too faces a prison sentence of up to 15 years for doing so. Moore's case is especially troubling because she was in the process of filing a complaint with the two officers about a third officer, who Moore alleges sexually harassed her in her home. She told the Times that she "was only trying to make sure no other women suffered at the hands of the officer" by making the recording. Presumably, she was also trying to protect herself in case she faced another lewd advance. Instead, the officers tried to talk her out of filing her complaint and then slapped her with eavesdropping charges when they found out her Blackberry was recording. These stories all highlight Illinois' draconian eavesdropping laws, which, ever since a privacy provision was overturned in 1994, have made it illegal to record audio of an individual without his or her consent. Carrying a sentence of between four and 15 years, the laws in the state are some of the harshest in the nation. Illinois isn't the only state waging a war on citizens with recording devices. Across the country, the growing accessibility of recording devices (like smart phones) and media-sharing sites (like YouTube) is prompting officials to dredge up dusty old eavesdropping and wiretapping laws, leading to "a legal mess of outdated, loosely interpreted statutes and piecemeal court opinions that leave both cops and citizens unsure of when recording becomes a crime," according to Bilko. The good news is that few people have actually been convicted under these laws for documenting police wrongdoing; neither Michael Allison nor Christopher Drew nor Tiawanda Moore are likely to go to prison for the recordings they made. The bad news, though, is that these laws are being used to intimidate the nation's citizens, making them afraid to stand up against police officers and other officials who are acting illegally and/or immorally. As long as no one is convicted, the law goes unchallenged, notes Adam Schwartz, senior staff counsel for the ACLU of Illinois. The intimidation techniques extend to still photographers as well, as documented by Carlos Miller on the blog Photography is Not a Crime, which catalogs rights violations against people with cameras and teaches citizens about their legal rights to photograph people and places. (Things that can almost always be photographed from a public place, "despite popular opinion," according to Miller's Web site: criminal activities, law enforcement officers, industrial facilities.) Miller himself has been illegally arrested and had his photos deleted for taking pictures of police officers. Some of the most widely viewed posts on Miller's blog -- "St. Louis Cop Beats Man Down in Youtube Video," "Surveillance video once again shines light on Philadelphia PD corruption" -- are testament to why citizens need the explicit legal right to document officers' wrongdoings. Without the recordings of these events (and many, many others like them), justice probably never would have been realized, and the truth never brought to light. Unless we overturn the nation's most over-the-top eavesdropping laws, our legal system will continue to obstruct, rather than promote, justice. Lauren Kelley is an associate editor at AlterNet and a freelance writer and editor who has contributed to Change.org, The L Magazine and Time Out New York. She lives in Brooklyn. Follow her on Twitter here. For those of you who missed it in the Phoenix New Times last week...Thanks, Stephen, for following this. Those women in Perryville are all in danger due to the gross medical neglect and cost cutting measures that we keep hearing about. If Brenda's family is out there reading this, please contact me: Peggy Plews (480-580-6807). I will help you connect with a good attorney. These people need to be held responsible, or nothing there will change. 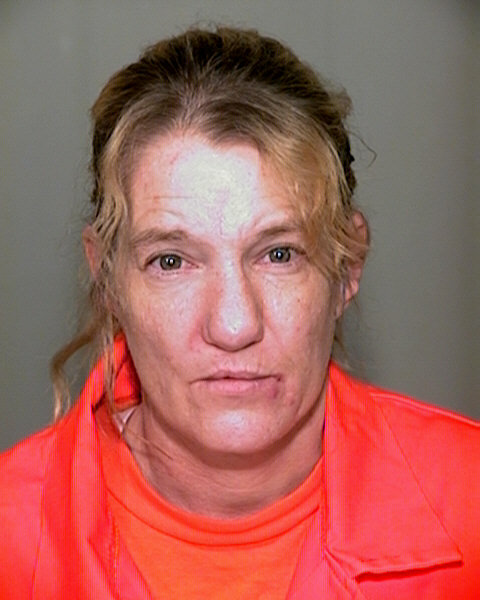 Brenda Todd's Death: Did Arizona Department of Corrections Personnel Ignore Her Cries for Help? 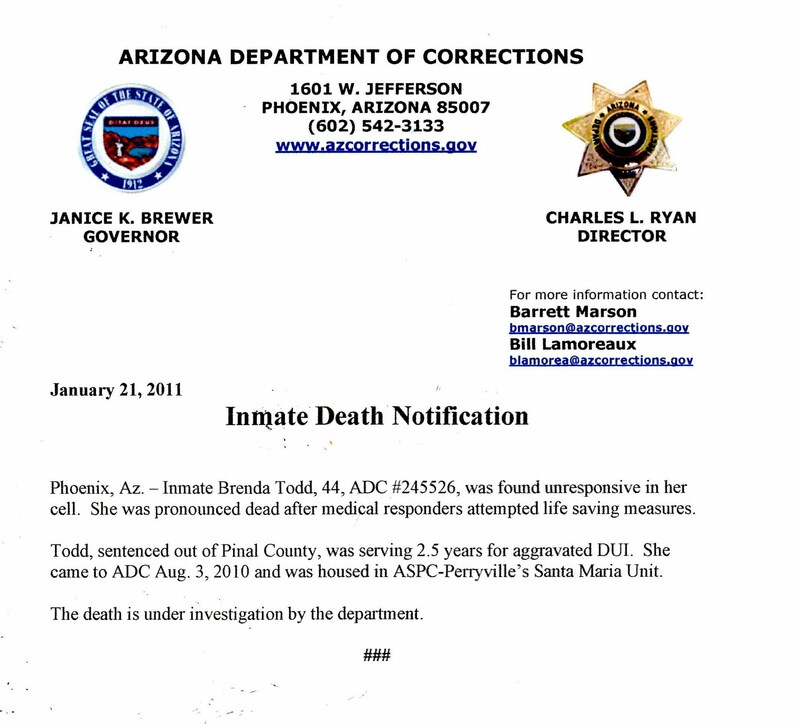 Like most death announcements from the Arizona Department of Corrections, the one for Brenda Todd, who died January 21 in custody at Goodyear's Perryville Prison, is spare and unemotional. It relates that Todd, 44, was found unresponsive in her cell, that medical responders attempted to revive her, but were unsuccessful, and she was pronounced dead. It also indicates that her death is "under investigation" by ADC. Since Todd's death, I've been in touch with several individuals who claim Todd pleaded for medical attention days before she was found dead, and that she even banged on the wall or door of her cell the night before her demise, asking for help. Todd was doing 2.5 years for an aggravated DUI out of Pinal County. She was housed in Perryville's minimum security Santa Maria Unit. One of her fellow prisoners at Santa Maria Unit was Leona Nieves, who met Todd while Nieves was doing a ten day stint for aggravated DUI. Nieves, who was given supervised release on Sunday, January 23, remembers Todd complaining about chest and neck pains during the two or three days before her death. She also believes Todd was on medication for asthma. On the yard, Todd would tell anyone who would listen of her ailments. "She's like, `I'm having trouble breathing, I have chest pains, the back of my neck hurts,' Nieves recalled Todd telling her. "A lot of times, she would go to lay down, because she just didn't feel good. But...even that wasn't making her feel comfortable." Nieves said Todd informed prison staff of her symptoms, and she was told to fill out the paperwork to see a doctor. Nieves said she believes Todd was supposed to see a doctor the day of her death. This next part, Nieves did not hear directly, but only discovered second hand from other prisoners. However, I've also gotten reports second-hand repeating this charge from relatives of prisoners at Santa Maria Unit and from local prison rights activists. "The girls were saying they could hear [Todd] pounding, asking for help," said Nieves of the hours before Todd was discovered dead. "That's when they overheard [a corrections officer] saying, `Go lay down, sleep it off.'" If true, Todd's death could be eerily reminiscent in some ways of the infamous 2009 death of Marcia Powell, a Perryville prisoner left for four hours in a human cage in the blazing Arizona sun. Some witnesses said Powell pleaded for water but was rebuffed by corrections officers. In the fallout from Powell's death, reforms were implemented by ADC, at least 16 ADC employees were either sanctioned or fired, and ADC ultimately submitted a more than 3,000 page report to the Maricopa County Attorney's Office, seeking indictments. However, last year, the MCAO declined to prosecute any of those involved due to what it called "insufficient evidence." Next of kin was located for Powell, her adoptive mother, but she declined to get involved. Sure, Todd's death doesn't involve an outside enclosure. But the statements of Nieves and others raise serious concerns about how prison staff respond to inmates' basic needs, such as medical. Todd was apparently a low-maintenance inmate, with absolutely zero disciplinary write-ups. ADC spokesperson Bill Lamoreaux declined to comment on the allegations regarding Todd pending the outcome of ADC's investigation. I also talked with ADC spokesman Barrett Marson, who explained that ADC will not be able to complete its investigation until the county medical examiner's report is in, and ADC will have no comment on the death until that time. This alert and call to action for Puerto Rican political prisoner Oscar Lopez Rivera comes from a recent guest contributor, Max Kantar. Links below will tell you more about Rivera, the movement, and the current campaign to send the man home. The feds are seriously against him - the recommendation has already been made to deny him parole. 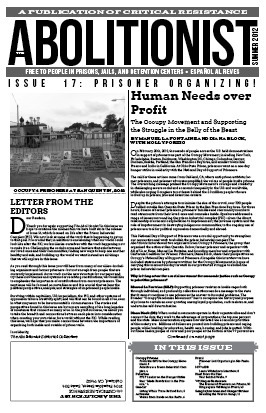 Phoenix Anarchists looking for a political prisoner to support - let's help kick this one loose...we only have a few days to act. ACTIVIST FOR PUERTO RICAN INDEPENDENCE NEEDS SUPPORT! PLEASE ACT BEFORE FEB. 1ST when the Parole Board meets. Hi, my name is ______________. The Parole Commission should parole Oscar López Rivera# 87651-024 immediately, in spite of the hearing examiner's recommendation to deny parole. * Oscar has the support of a broad sector of Puerto Rico's civil society as well as Puerto Rican and Latino communities throughout the United States. * Oscar was not accused or convicted of causing injury or taking a life. He was never accused or convicted of participating in the 1975 Fraunces Tavern bombing or any other action that resulted in injury or death. * President Clinton's determination that Mr. López Rivera's sentence was disproportionately lengthy, and his offer that would have resulted in Mr. López Rivera's release in September of 2009. * In 20 years of prison, he has not been accused of a violating a single prison rule. Here's an articulate guest column offered by Max Kantar and pretty thoroughly researched. Originally posted at counterpunch.org on January 18, 2011. Michelle Alexander's recent book, The New Jim Crow: Mass Incarceration in the Age of Colorblindness, may well be the most important analysis of the current state of human rights and racism in American society since W.E.B. Dubois wrote The Souls of Black Folk at the turn of the twentieth century. In it, Alexander, a distinguished professor at the Moritz College of Law at Ohio State University and the former Racial Justice project director for the ACLU of Northern California, argues that the mass incarceration of black and brown men in the United States amounts to a complex system of racial control with uncomfortable and uncanny parallels to Jim Crow, both in terms of its scale and the real life consequences for people of color, African Americans in particular. In fact, under the auspices of the War on Drugs, the United States incarcerates black men at nearly six times the rate that the internationally reviled white supremacist South African regime did at the height of apartheid. Today, there are more African Americans under correctional control—in prison or jail, on probation or parole—than there were enslaved in 1850, more than ten years before the Civil War began (p. 175). In major cities, large majorities of black men have been branded felons for life—mostly for minor, nonviolent drug offenses—effectively locking huge sectors of the black community into a permanent second-class status where they are legally discriminated against in all the same ways that their grandparents were during Jim Crow, including access to housing, employment, and public benefits, not to mention systematic exclusion from juries, denial of the right to bear arms, and denial of the right to vote, all in accordance with the law. One of the major themes in The New Jim Crow is that racial caste in America is an institution that has persisted over the years by evolving—through conscious policies and political campaigns—in order to adapt to serious challenges to its legitimacy. In addition to exploring the birth of Jim Crow following the overthrow of chattel slavery and the end of Reconstruction, Alexander meticulously chronicles the repackaging and development of a new system of racial caste in our officially colorblind society following the social and political gains of the Civil Rights Movement. The disintegration of Jim Crow in the South left millions of whites feeling marginalized, disenfranchised, and resentful over desegregation, affirmative action, and the imposition of new laws and values on "their" society. According to one of his top advisors, Richard Nixon emphasized that "the whole problem is really the blacks. The key is to devise a system that recognizes this while not appearing to" (p. 43). In an attempt to get Southern whites to break with the Democratic Party—with which they had been largely aligned since Roosevelt's New Deal—Republican administrations began making racially coded appeals to white voters on issues of "crime," "law and order," and "welfare." This brand of officially colorblind racial politics culminated with President Reagan's declaration of the current "War on Drugs" in 1982; a "war" waged despite the fact that only two percent of Americans considered illegal drugs to be a major issue at that time. Moreover, contrary to popular belief, drug crime in the early '80s was on the decline. When crack-cocaine hit the streets a few years later, however, Reagan administration officials seized the opportunity to zealously promote drug war policies by waging a massive publicity and propaganda campaign highlighting black crack abusers and related violence, which Alexander points out, became a media sensation (pgs. 51-4). This was, of course, the purpose of the War on Drugs: to put African Americans back in their place on the racial hierarchy. In the ensuing decades, countless billions of federal dollars and advanced weaponry poured into the coffers and arsenals of state and local law enforcement agencies specifically to help launch the drug war in inner cities. Lawmakers joined in the hysteria by passing extreme mandatory minimum sentencing laws, often harshly targeting drugs associated with inner-city blacks rather than middle-class whites. For his part, President Clinton signed the biggest law enforcement bill in American history and ushered in unprecedentedly cruel "one strike" penalties for ex-felons, banning them from public housing and food stamps for life (pgs. 55-7). Clinton, whom Alexander credits with having done more to create today's racial caste system than any other president, also oversaw the biggest expansion of the prison system in the history of the United States (p. 56). Mass incarceration quickly became a bipartisan set of policies and has since been set on cruise control—if not acceleration—by successive administrations, including the current one (pgs. 238-41). The result? The prison population in the U.S. has increased from 300,000 in 1980 to nearly two and a half million today—by far the biggest prison population of any country in the world, both proportionally and numerically. Crucially, drug offenses account for two-thirds of the increase in federal prisoners and over half of the increase in state prisoners (p. 59). Alexander likens mass incarceration to slavery and Jim Crow on the grounds that each racial caste system functions as a "tightly networked system of laws, policies, customs, and institutions that operate collectively to ensure the subordinate status [of African Americans]" (p. 13). Mass incarceration, she continues, can be largely understood as functioning in three distinct phases: rounding up men of color, placing them under formal correctional control, and branding them as felons for life (pgs. 180-2). While the author thoroughly and carefully takes into account a great many variables in the book, including history, politics, and legal precedents, it is worth briefly examining here the three distinct phases she highlights. Police agencies have a tremendous amount of discretion when it comes to enforcing drug laws. Countless studies of policing practices across the country consistently reveal enormous—almost pathological—racial biases against black and brown men. This is especially true with the War on Drugs despite the fact that blacks and Latinos are no more likely to use or sell illegal drugs than their white counterparts. With the blessing of the courts, police officers are encouraged to stop massive amounts of people—whether driving or walking—to conduct searches, or fishing expeditions, for drugs. The vast majority—upwards of 80 to 90 percent—of those targeted have been people of color. In cities like New York, this translates into over one thousand black and brown men being arbitrarily searched and harassed every day according to the NYPD's own figures. Many city police departments across the U.S. also keep mass biographical databases of racial minorities irrespective of crime. Rationalized as a means of monitoring "gangs" and "crime," the databases seek to build profiles on anyone "using slang" or wearing "baggy" pants (read: any person of color). In Los Angeles and Denver, for example, it has been revealed that the vast majority of blacks and Latinos residing in these cities were on mass databases of suspected criminals (pgs. 131-4). As Alexander points out, the courts have essentially closed the doors to claims of racial discrimination (absent an admission of racial hatred on the part of officials, McCleskey v. Kemp, 1987, p. 106-9, 189) with the Supreme Court going so far as to declare race to be a legitimate—if not determinative—factor in police discretionary decision making (United States v. Brignoni-Ponce, 1975, pgs. 128-33). Incarceration rates dramatically reflect racist policing patterns and political priorities. Because the quintupling of the prison population is largely a result of incarcerating black and brown drug offenders, the majority of prisoners today are locked up for nonviolent offenses. And despite the fact that blacks are no more likely (and perhaps less likely) than whites to engage in drug use or sales, in many states blacks have been sent to prison on drug charges at rates ranging from twenty to nearly sixty times the rate of whites—a pattern which fundamentally holds true for adolescent offenders as well. In Illinois, for example, blacks are less than twenty percent of the state's drug users and sellers, but constitute 90 percent of all incarcerated drug offenders. As a nation, whites are the overwhelming majority of drug users and sellers yet the vast majority—75 percent—of all drug offenders sent to prison are black or Latino (pgs. 96-7). It is no surprise then that one in every three young black men in America is either locked up or on probation or parole; nationwide, the figure is nearly 50 percent when those who have been permanently labeled as felons are included. It should be emphasized that the status of those on probation and parole—especially the latter—is equivalent to having no civil rights; often times the slightest infraction—for example, missing an appointment or failing to find a job—is enough for the state to tear the individual from his family and community and lock him in a cage for months or even years (p. 93). For many inner-city communities, prison has become the rule rather than the exception. To cite just one example, in Washington DC, three out of every four young black men—irrespective of class—can expect to be incarcerated (p. 159). At the current rate of incarceration, one out of every three black male babies born at the turn of the 21st century will end up in prison. Today, due largely to the mass incarceration of black men, an African-American child is less likely to be raised by both parents than a black child born during slavery (p. 175) and almost ten times more likely than white children to have a parent incarcerated. Once branded a felon, individuals are permanently relegated to a second class status. Drug felons specifically are banned from receiving subsidized loans for college. All felons are banned from public housing and can be legally discriminated against in private housing. They are also required by law to "check the box" on job applications and employers are entitled to legally discriminate against them. In fact, surveys show the vast majority of employers admit that they will not consider hiring a felon. Barred from affordable housing, educational opportunities, and shut out of the job market, felons also lose the right to eat; they are banned from receiving food stamps for life. In addition to losing the right to possess firearms, felons are completely excluded from serving on juries; because of this, fully 30 percent of black men in America have been automatically excluded from serving on juries (p. 119). This is in addition to Supreme Court rulings which allow courts to, in practice, systematically exclude blacks from juries for admittedly "silly" and "superstitious" reasons which serve as legal cover for maintaining the all-white jury, which is and always has been a staple institution in American life (pgs. 188-9). Perhaps worse yet, felon disenfranchisement laws deny the right to vote to millions of African Americans across the country. In fact, as of 2004 more black men were disenfranchised than in 1870, which was the year the fifteenth amendment was ratified which outlawed the denial of voting rights to people on the basis of race (p. 175). Because mass incarceration and felony branding policies have been unjustly directed primarily at African Americans and other people of color, Alexander argues that the current system amounts to a restructuring of racial caste in America. 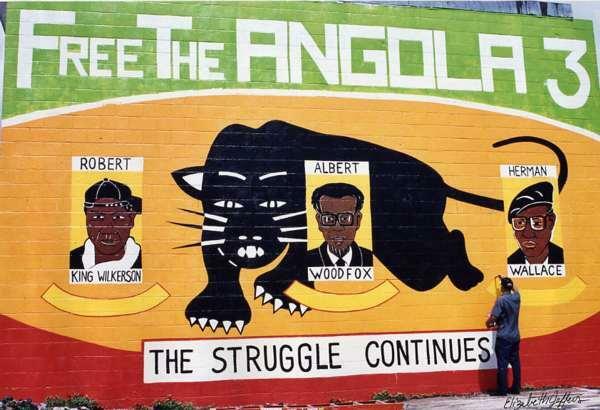 This charge is not without merit; in cities and states where African Americans are highly concentrated, huge majorities of black men have been locked up and/or labeled as felons for life—mostly for minor, nonviolent drug offenses—making it perfectly legal to discriminate against them in all of the same ways that the Jim Crow system discriminated against their parents and grandparents several decades ago. In Chicago, for example, fully 80 percent of the black male workforce has been branded felons for life. The criminalization of black men in Chicago—and black men in urban America generally—is, of course, largely a phenomenon of the War on Drugs; since 1985 the number of black men incarcerated for nonviolent drug offenses in Chicago has increased by nearly 2,000 percent (pgs. 183-5, 191). The trend generalizes across the U.S.; as of the year 2000, on a national level African American incarceration for drug offenses represented a 26-fold increase since 1985 (p. 96). Much in the same way that segregation and ghettoization of African Americans in the North was the result not of market forces nor human nature but rather the outcome of specific federal and local policies designed for those ends, mass incarceration is the result of deliberate policy choices aimed at strengthening the historical racial order in America, ensuring that African Americans remain in a subordinate and stigmatized position on the social and racial hierarchy. The policies of mass incarceration—coupled with paralleled, racialized political and media campaigns—in recent decades have served to define in racial terms what it means to be a criminal. As Alexander points out, every system of racial caste in America has had as its primary function, the ability to define the meaning of race in its time (pgs. 192-5). During slavery, to be black was to be a slave and to be black under Jim Crow was to be a second class citizen. In the age of mass incarceration, to be black—and this is especially true for men—is to be a criminal (pgs. 192-5). In our society, the racialization of what it means to be a criminal amounts to the stigmatization of African Americans as a group. The War on Drugs has been the primary vehicle for creating both the on-the-ground reality as well as, in part, the ideological foundations for racial caste in an America that is officially colorblind; although all studies show that the majority white population is just as likely—perhaps even more so—to engage in drug use and sales, black men—and to a lesser degree, Latinos—are the ones who have been targeted, incarcerated, and branded as criminals en masse. While whites who have been branded as felons surely experience the stigma associated with incarceration, their stigma is by no means a racial stigma; the term "white crime" is unfathomable and nonexistent while "black criminal" is nearly redundant (p. 193). In fact, Alexander insists that the fact that blacks "only" comprise 80 or 90 percent of those incarcerated for drug offenses in some states—instead of 100 percent—actually serves to reinforce the legitimacy of racial caste in an officially colorblind society; the exception that justifies the rule (pgs. 198-9). As a system of racial caste, mass incarceration doesn't just apply to those officially branded as felons. "Just as African Americans in the North were stigmatized by the Jim Crow system even if they were not subject to its formal control," Alexander writes, "black men today are stigmatized by mass incarceration—and the social construction of the "criminalblackman"—whether they have ever been to prison or not" (p. 194). This is evidenced in part by dominant media and cultural narratives, institutionalized (and legalized) racial profiling, and police efforts to build mass databases of "suspected criminals" which contain information almost exclusively on racial minorities who have often done nothing criminal at all aside from having been born to black and brown parents. In addition to the numerous studies showing that most white Americans see crime in racial (nonwhite) terms, studies conducted by Princeton University also reveal that white felons fresh out of prison are more likely to get hired for jobs than equally qualified black men with no criminal record. African American men without criminal records are more ostracized and widely perceived as being more criminal than white men who have actually been convicted of felony crimes. That is how deeply black people have been stigmatized as criminals and social pariahs in our society. Whole black communities have been stigmatized by the presence of felons in their midst and black men have, Alexander aptly observes, become "the new untouchables" (p. 194). Worse yet, Alexander contends that the racial solidarity which existed to a substantial degree among blacks during Jim Crow has been significantly destroyed by mass incarceration: "[T]he shame and stigma of the 'prison label' is, in many respects, more damaging to the African American community than the shame and stigma associated with Jim Crow. The criminalization and demonization of black men has turned the black community against itself, unraveling community and family relationships, decimating networks of mutual support, and intensifying the shame and self-hate experienced by the pariah caste" (p. 17). The campaign of drug criminalization in recent decades begs comparisons to the birth of Jim Crow in the late nineteenth century. Following Reconstruction, white Southerners sought to reestablish the white supremacist racial order but were constrained in doing so by new realities imposed by the federal government, including the abolition of chattel slavery. Lawmakers instead chose to criminalize minor offenses which were often colorblind on paper, such as loitering, vagrancy, "using obscene language," and so forth, in order to establish pretexts for imprisoning black men and forcing them back on to the plantations via contracted prison labor—a vast system of re-enslavement through mass incarceration which was, in many respects, worse than traditional slavery. While Jim Crow eventually included many laws explicitly discriminating on the basis of race, a major part of this racist system centered on how seemingly race-neutral laws were enforced and who was targeted. This was true for disenfranchising black voters as well. Because the federal government outlawed denying the vote to citizens on the basis of race, southern officials introduced ostensibly colorblind literacy tests and poll taxes, but everyone knew that the laws were aimed at black folks and were almost exclusively enforced accordingly to achieve that end. The War on Drugs is similar; initiated largely by the federal government, the drug war policies have criminalized minor offenses and activities—drug use and sale—which exist in all human societies and exist equally across racial lines in America, and took care to enforce these laws overwhelmingly against blacks and other racial minorities. The New Jim Crow does an excellent job of dispelling common myths often cited to explain in colorblind terms the reasons for the mass incarceration of African Americans. In addition to setting the record straight on the prevalence of drug activity along racial lines, Alexander also explains that the War on Drugs has not been waged in poor communities of color because of higher rates of violent crime among poor blacks. Comparatively speaking, higher rates of violent crime in black communities is independent of drug activity and has very little to do with the recent prison boom; citing William Julius Wilson's When Work Disappears, Alexander notes that rates of violent crime are directly related to concentrated joblessness. When the racial disparity in joblessness is accounted for, violent crime rates for blacks and whites are virtually indistinguishable (p. 50). Moreover, the drug war is expressly not aimed at reducing violent crime or even going after drug kingpins; the main purpose is to amass high volumes of arrests and obtain as many convictions as possible—the vast majority of which are possession charges for small amounts of marijuana and other drugs. Like slavery and Jim Crow, mass incarceration is all but invisible to whites in the sense that it appears completely normal and doesn't directly affect most white communities. In fact, in recent years it has become almost cliché—though indeed accurate—to observe that the number of black men in prisons has drastically eclipsed the number of black men in college; before the current drug war, in 1980, however, black men in college outnumbered black men in prison by a ratio of three to one. Consider the militarization of policing, paramilitary-style sweeps of entire neighborhoods, routine violence and police brutality, constant, arbitrary, and humiliating searches and invasions: such a violent campaign of dehumanization and oppression could never feasibly target white drug users and dealers on college campuses and in the suburbs as it has black and brown citizens in the inner city (pgs. 199-202). Yet whites overwhelmingly take mass incarceration and racial caste—though not by those names—for granted, as if the wholesale imprisonment and stigmatization of blacks is something natural or inevitable; after all, crime—and therefore, mass incarceration—is a black problem. In The Souls of Black Folk, written in 1903, W.E.B. Dubois describes the prevailing attitude of whites towards African Americans in the terms of an implicit question whites often leveled at blacks on the issue of race: "How does it feel to be a problem?" Today when whites talk about getting "tough on crime" and when they call on African American leaders—or when such "leaders" do so voluntarily—to take the black community to task for alleged cultural deficiencies supposedly at the heart of African American social and economic problems, they are essentially saying the same thing as the whites of Dubois' era: "How does it feel to be a problem?" The "sprinkling" of a select few of people of color in universities, the government, corporations, television—and even in the White House—helps to perpetuate the myth of racial equality and "black progress"—a loaded and historically insulting term—in post-Civil Rights era America. While nobody can deny that great gains have been achieved as a result of popular activism led by African Americans in the 1950s and '60s, the painful reality is that in many key respects, the black community in America is no better off—and in some respects, worse off—than it was in 1968 when Martin Luther King Jr. was assassinated (pgs. 233-6). Schools are more segregated and unequal today than they were in 1950; residential housing is more segregated in the Midwest and Northeast than in the South. Poverty rates in the black community remain high and have changed little, especially if prisoners are included. Among black children, poverty rates have actually increased, according to Alexander (p. 233). Joblessness continues to be disproportionately high for African Americans, notably young black men, of which one in three are unemployed (p. 149). For those who don't complete high school, the rate of joblessness soars to 65 percent (p. 149). Rampant police brutality in the black community continues to persist. And of course, incarceration of black men—and black women for that matter—is at all time, astronomical highs. In The New Jim Crow, Michelle Alexander brilliantly and systematically lifts from readers' eyes the veil of colorblind rhetoric, affirmative action, and tall tales of progress and equality in America and urges us to face the racial nightmare and human rights catastrophe that has been taking place on our watch. While impeccably documented and full of careful legal analysis, this is not a book so much for lawyers as it is for regular people who care about justice and freedom. The New Jim Crow is above all, a movement-building book. And considering what is at stake, nothing short of a militant, mass based civil rights style movement can hope to dismantle mass incarceration and racial caste in America once and forever. Max Kantar is an independent writer and Michigan-based human rights activist. He can be reached at maxkantar@gmail.com. Michelle Alexander, The New Jim Crow: Mass Incarceration in the Age of Colorblindness (New York: The New Press, 2010). References to specific information in the book throughout this review will be cited parenthetically in the text. W.E.B. Dubois, The Souls of Black Folk 3rd edition (Cambridge: University Press, 1903). This is if you include black men in both prison and jail in the US. The rate is about three and a half times higher than apartheid South Africa if incarceration rates only include those in prisons. See William J. Sabol, Todd D. Minton, and Paige M. Harrison, "Bureau of Justice Statistics: Prison and Jail Inmates at Midyear 2006" (Washington, DC: US Department of Justice, June 2007), NCJ217675, p. 9, Table 14. On Obama's presidential record on these matters, see "The Obama Administration's 2011 Budget: More Policing, Prisons, and Punitive Policies," Justice Policy Institute, February 2010, http://www.justicepolicy.org/images/upload/10-02_FAC_FY2011Budget_PS-JJ-AC-BB-DP.pdf (accessed November 5, 2010). Marc Maurer and Tracy Huling, "Young Black Americans and the Criminal Justice System: Five Years Later" (Washington DC: The Sentencing Project, 1995). Gary Younge, "30% of black men in US will go to jail," The Guardian, August 19, 2003. Bureau of Justice Statistics, "Incarcerated Parents and Their Children" (Washington, DC: US Department of Justice, August 2000). Regarding government policies which created segregation and ghettoization in the North, see Douglas Massey and Nancy Denton, American Apartheid: Segregation and the Making of the Underclass (Cambridge, MA: Harvard University Press, 1993). Devah Pager and Bruce Western, "Race at Work: Realities of Race and Criminal Record in the NYC Job Market" (Princeton University, December 9, 2005). For online access see http://www.princeton.edu/~pager/). Douglas A. Blackmon, Slavery by Another Name: The Re-Enslavement of Black People in America from the Civil War to World War II (New York: Anchor Books, 2009). William Julius Wilson, When Work Disappears: The World of the New Urban Poor (New York: Vintage Books, 1997). There is one major exception here: in recent decades, many prisons have been built in rural, predominantly white towns across America. These towns have a huge stake in mass incarceration due to the amount of jobs that prisons bring to these communities. Nonetheless, the point remains the same: prison is not a part of life for many white families, whereas in many African American communities one would be hard pressed to find families without someone currently or recently incarcerated. See Alexander, New Jim Crow, 188. Fox Butterfield, "Study Finds Big Increase in Black Men as Inmates Since 1980," New York Times, August 28, 2002. Gary Orfield, "Reviving the Goal of an Integrated Society: A 21st Century Challenge," The Civil Rights Project, UCLA, January 2009, http://civilrightsproject.ucla.edu/ (accessed November 5, 2010); Jonathon Kozol, The Shame of the Nation: The Restoration of Apartheid Schooling in America (New York: Random House, 2005); "American Urban Segregation," BlackDemographics.com, http://www.blackdemographics.com/geography.html (accessed November 5, 2010). Although on a very small scale (which by no means diminishes the deed), we, the people, have wrought a revolution – “a sudden and momentous change in a situation” – and accomplished in 12 days what the powers that be have repeatedly told us would never happen. Indeed, for the first time in 16 years, I will be able to hug and kiss my family again! There are no words to express the profound gratitude I feel. The late, great, revolutionary leader, Che Guevara, once said: “A true revolutionary is guided by great feelings of love!” Well, while I cannot claim to be a revolutionary in the strict sense of the word, it is a great feeling of love – for you, the people – that is guiding me right now: Even as I write this, tears of hope and determination are streaming down my face. When one has been forced to live in a space no larger than a closet for 16 years, 23 hours a day, not only does one begin to feel extremely insignificant, but the very world begins to shrink; and everything, even the smallest thing, seems impossible. Hence, never in my wildest dreams could I have imagined the overwhelming outpouring of love and support that came flooding into my cell after I cried out for help. People from all over the country and the world – England, Ireland, Serbia, Amsterdam – reached out and joined together with us to right an injustice; and surprisingly, miraculously, we succeeded! Everything we demanded was properly handed over. It would be great if I could say that the worst is over now, and that, with victory in hand, I can live happily ever after. Unfortunately, I don’t have the luxury of living in a fairy tale; the people who are trying to take my life are real, not a figment of my imagination. In fact, not even a week after my piece, “If We Must Die,” was posted and we embarked on the hunger strike, a federal district judge turned down my appeal, which placed me even further in the balance. It would be naïve of me to believe that this was just a coincidence, an unrelated incident that just so happened to coincide with our peaceful, nonviolent demonstration. As you may recall, I said some very harsh things – all of them true – against the system; and I say them again: This system is bogus and sold to those with money. In other words, if you don’t have the capital, you get the punishment, and justice, like everything else in this capitalist nightmare, is nothing more than a commodity that is reserved for the highest bidder. Need I say more? Friends, I beg you not to abandon me to this mockery; inasmuch as my life is not for them to take, I intend to fight them, and I (we) need your help. What they did to us cannot stand up under the bright light of scrutiny. Because of who we are, they felt that doing a thorough job wasn’t necessary. After all, who’s going to give a damn about a bunch of criminals? With this as their attitude, they utilized a “first-come-first-served” strategy and ended up charging several different people with the same crimes, using different theories; and, in some cases, allowed the actual perpetrators to point the finger elsewhere if they were willing to assist the prosecution in cleaning up its books. Simply put, what they did to us is a travesty of justice; and yet, our convictions have remained intact through the lower courts of appeal and are quickly making their way through the federal courts. In other words, if we don’t do something to get out in front of this thing, they are going to kill us soon. And it may be that, no matter what we do, they are going to kill us anyway. Well, OK. But if that be the case, let us at least make sure that they not be able to call it justice. If they kill us, let us at least be able to call it what it really is: murder. Friends, we don’t have to accept this; we don’t have to continue down the path of least resistance, allowing them to do with us whatever they please. If we stand together and speak truth to power, they will have no choice but to right this wrong. They did it in the current confrontation, and they will do it again, not because they want to but because they have to. Whenever hypocrisy is confronted by the truth, it must capitulate. Therefore, the key to fighting these people is to expose the truth and then hold it up next to what they claim to represent. If we can do this well enough, they will either have to practice what they preach or, as Malcolm X suggests, preach what they practice. Our job is to make sure they don’t have it both ways. Our friend, Staughton Lynd, has written a book about the uprising, “Lucasville: The Untold Story of a Prison Uprising,” and we need to encourage people to read it. In the coming days, weeks and months, we need to formulate plans to reintroduce the play and launch the documentary, “Dirty Little Secrets,” all with the intended purpose of making as many people as possible aware of what actually happened during the uprising and its aftermath. Ultimately, the goal is to compose a petition, similar in scope to the ones that were recently circulated, which will then be presented to the governor with the demand that he either issue a general amnesty with respect to all of the Lucasville cases or, in the alternative, convene a panel of qualified experts to determine whether or not a general amnesty is warranted. In closing, I want to thank each and every one of you for coming forward as you did. I am both humbled and uplifted by the support. When I phoned my 8-year-old niece, Kayla, afterwards and informed her that “Uncle Keith will be able to touch your little hand soon,” she, with excitement brimming in her voice, said, “That’s awesome!” And I couldn’t agree with her more: What we did was awesome! We came together and spoke truth to power and won! Imagine that! Bomani Shakur, aka Keith LaMar, one of three men sentenced to death following the 1993 Lucasville rebellion who went on hunger strike Jan. 3, can be reached by writing to Keith LaMar, 317-117, P.O. Box 1436, Youngstown OH 44501. This statement was posted by Denis O’Hearn to the Facebook page, In Solidarity with the Lucasville Uprising Prisoners on Hunger Strike. Just got tipped off to this meeting tonight. Though most of us will miss the chance to attend, there's a contact name, number and email address for more info on getting involved in supporting immigrant prisoners and detention releasees. You can also contact me for info about support for folks warehoused in our state prisons. 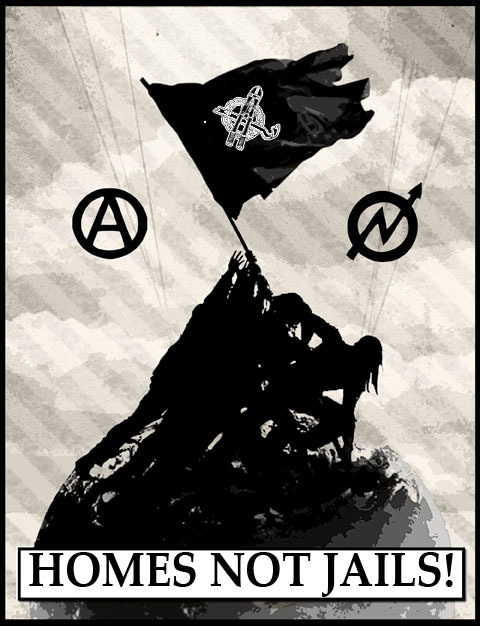 I'll be parking myself at Conspire (901 N. 5th St., PHX) every Thursday at 5pm (before the 6:30 pm Phoenix Anarchist Coalition meeting) for anyone interested in volunteering with AZ Prison Watch. Call me for more on that (480-580-6807). Prisoners' friends and family members who themselves need support in their efforts are also welcome. I know this is super last minute, but I wanted to invite all of you to an informational meeting hosted by the Florence Project and the Tucson Restoration Project on a brand-new, very exciting visitation and hospitality program that we are coordinating. The goal is to build a network of people willing to either host people being released from immigration detention (including my clients), or participate in writing letters and visiting people in immigration detention in Florence, AZ. At the meeting, we'll be going through basic information about the program, as well as coordinating times for a training that will happen next month. Hope to see you there! And please forward to anyone you think might be interested. Thanks guys; this is really reassuring. I know this can't be the whole story, but it's kind of predictable now. Only one attempt to stop him with a taser, then they shoot him MULTIPLE times and don't know if he'll survive? How about just taking out his knees and kicking the knife away from him? An ordinary citizen took Loughner's magazine clip - an unarmed woman who had been shot, in fact. Where's the courage and nobility of the boys in blue; the willingness to put your lives on the line to save another human being (including those of us who are trying to do ourselves in)? You outnumbered and out-gunned him, for sure. I bet you had more body armor than him, too. As the friend who sent me this link remarked, here's one reason why the police aren't the best responders to suicidal people. If he lives, he'll no doubt go to prison for having been assaulted in his own home while trying to kill himself. As for the headline about "the knife-wielding man..." - c'mon, Republic. He was a suicidal man planning to end his own life with a knife, not running around town threatening the city. They came to his home; he didn't go to theirs. He was probably trying to keep them from saving his life, not kill them. Police shot a Phoenix man multiple times at his home Saturday evening near Bell Road and 42nd Avenue after he allegedly threatened officers with a knife. No officers were injured in the shooting but the man was undergoing surgery and it was unknown whether he was expected to survive until the procedure was complete, said Phoenix Police Sergeant Steve Martos. Authorities responded to the Desert Meadows Apartment complex in the 16800 block of 42nd Avenue around 6:45 p.m. after receiving a call from a woman who said her roommate was threatening to commit suicide with a knife, Martos said. Officers found the man in an upstairs bedroom of the apartment and tried to dissuade him from harming himself with the weapon. Martos said one officer deployed a Taser on the suspect when he threatened authorities. After giving several commands to drop the knife, officers shot the suspect multiple times. The man's roommate was not inside at the time. To the family of Brenda Todd: please contact me ASAP. To the rest of you: Pay attention to ASPC- Perryville in Goodyear. Marcia Powell isn't the only one who's died out there. Julie Acklin: Tenacious advocate for prisoner's rights. with the Arizona Liver Foundation staff/volunteers. Anyone who's read more than just a few blurbs on this blog should know who Julie and Davon Acklin are, by now. What follows is just one story of how Julie's touched others' lives for the better. I pulled it off of her Facebook - her friend Verena posted it there to remind her of how much she means to those of us who know her, and to ignore the skeptics and haters who occasionally land on her pages and try to sabotage her efforts to assure decent medical care for her son. I've met Verena and her daughter, and know this story to be true. We love you, and the ones that truly know you know what you are capable of. Here is my story of my beautiful daughter who almost died at the hands of Texas Prisons. My daughter was 21 and on 9/9/09, first let me tell you she suffers from a mental illness. She had been on suicide watch numerous times; she was in the treatment part of the prison for substance abuse and behavioral health issues. She stands only maximum of 5 foot 2in, and very petite. A couple of weeks before I received a call, my daughter called me from her counselor's office. I asked my daughter if I could speak to her counselor, my daughter handed the counselor the phone, I tried to give the counselor the information on what my daughter needed to work on and the counselor hid behind the HIPPA law stating that she could not take any information from me regarding my daughter. I informed her I wasn’t seeking information but felt it necessary so my daughter could be treated for these issues. Remember HIPPA Laws state that you can receive information, but the professional can not give it with out a written Release of Information, or verbal permission from the patient. My daughter handed her the phone that was a verbal. I received a call from the Warden, a few weeks later telling me my daughter is on life support, when I asked what happened she told me she hung herself. I lost it. Now I’ve lost control, and going insane it felt like, the warden told me I needed to get to Texas, ASAP. So I contacted my Mother and we left for Texas. I had to see my daughter on what they call a High Five ventilator. I guess it shoots 300 breaths in to the patient; my understanding was they said it’s the most intense ventilator they had. While at the hospital the Dr. told me that my daughter had a 9 % chance to live. I had to leave Tx and come back home. I had not heard of Julie until I got back - I think one of my friends called her or knew of her. When I got back from Tx, I received a call from Julie telling me she is a prisoner rights advocate for the National Alliance for the Mentally Ill (NAMI). She asked me what happened and all I could do is cry. Julie was so patient with me, and so understanding with me, she provided me with hope, which I lost in Tx. Julie kept in touch to see how I’m doing on a daily bases. Julie jumped in to action and started calling everybody, God only knows who, Julie did something and the charges were dropped on my daughter and she got better and was sent to the prison psych ward, while being released. The prison told Julie that I could call and talk to my daughter, so I tried to, but the prison would not let me talk to her. They stated that she was still in custody, I explain to them she has been released, needless to say I was not successful, so I called Julie and was crying again and explained to her what happened.Julie got back on the phone and next thing you know I received a phone call the staff at the prison, and they put my daughter on the phone. She didn’t sound like she was all there yet, she wasn’t fully back to being her. When I went back to Texas to get my daughter and bring her home to AZ, we had to pick her up from the psych prison ward. My daughter had MERSA (staph infection) on the back of her head, she couldn’t walk, she over enunciated her speech, and had traumatic brain injury. She had memory loss, too. My daughter had not had a bath in 4 days, was left to defecate and urinate on herself. She was unable to walk or stand; she needed help with every thing. 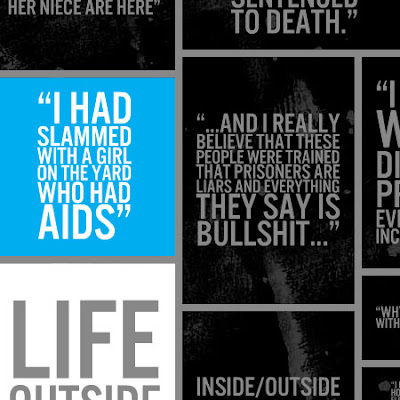 My daughter would still be there in prison or dead if it hadn’t been for Julie. Julie fought day and night for my family; she is a blessing to have. If Julie went to bat for you she fights with all she has. Not all situations will turn out the way this one did, but it’s not from a lack of trying on her part. Julie is my friend and she has a heart for justice for our loved ones in prison. If you all don’t believe me I have pictures of my daughter on life support , and you can meet my daughter get a hold of me on Facebook and leave me your # and I will be more than happy to meet you in public. Julie saved my daughter's life. Thank God my daughter turned 22 this yr.
Verena and her daughter at the 2010 Liver Life Walk raising awareness about prisoners with Hepatitis C. They're holding up a birthday card for Davon, Julie's imprisoned son, for whom we were all walking that day.